ExxonMobil has announced the launch of the Mobil 1 Truck & SUV synthetic motor oil. The new formula, specifically created for gasoline-fueled, light-duty trucks and SUVs, provides outstanding protection and maximizes engine performance. As the pioneer and leading supplier of synthetic lubricants, ExxonMobil is again adapting their technology leadership to evolving customer needs. Mobil 1 Truck & SUV is the newest addition to ExxonMobil’s group of top-tier products, aimed at maximizing engine life for vehicle owners. The world’s leading synthetic motor oil brand, Mobil 1™ features anti-wear technology that provides performance beyond conventional motor oils. This technology allows Mobil 1 motor oil to meet or exceed the toughest standards of car builders and to provide exceptional protection against engine wear, under normal or even some of the most extreme conditions. Hardworking engines are provided with extra protection and exceptional performance under tough operating conditions, such as hauling or towing heavy loads, when using Mobil 1 Truck & SUV. In addition, the motor oil’s 10% more sludge-fighting, anti-wear additive keeps the engine clear of sludge and deposits, which can cause serious damage to an engine. Mobil 1 Truck & SUV will be available in 0W-20, 5W-20 and 5W-30 viscosities. Coming in both one- and five- quart bottles, the new motor oil will be available for purchase in retail locations in early 2019. 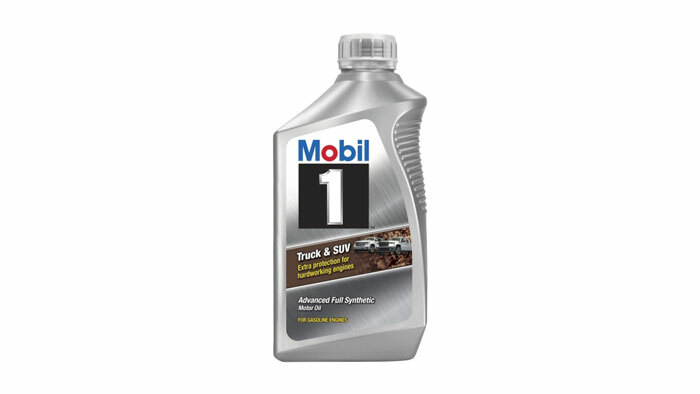 For more information on this new product and the rest of the Mobil 1 line, visit mobiloil.com.